Build your knowledge of our key indigenous rights campaign and access activism toolkits, research and information about our strategy and partnerships. Welcome to the Community is Everything campaign! Kids have healthy, happy childhoods when they live in loving and nurturing communities. It’s kids’ connections with family and community that allows them to flourish, and sets them up for positive lives. This campaign is about getting Federal and State/Territory Governments to reduce the numbers of young Indigenous people incarcerated across the country. We are campaigning to have governments implement practical recommendations which give better support to Indigenous-led community solutions and comply with international legal obligations to ensure Indigenous kids get a childhood and can stay connected to their communities. Is it just us or are people starting to, finally, talk about Indigenous rights? We know this can be a challenging campaign. But that gives us even more reason to do it! 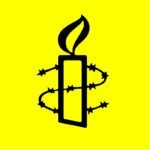 Amnesty International has a proven track record on working on long term campaigns – getting an Arms Trade Treaty took us 20 years! We can be part of a movement for change on Indigenous rights in our country. You are the experts in your community. You are the carers, the passionate, the skilled, the active. We need people like you to discuss Indigenous rights broadly and in particular the over representation of Indigenous kids being locked up. It is a national outrage that Indigenous kids are 24 times more likely to end up in prison. Scroll down to find our research and activism toolkits which detail our findings, campaign aims and how you can support change in your local community. We’ve kept them all online so you can track the progress of the campaign. Our latest toolkit details our current 2017 strategy – find out more on the resources for action page. Part of this campaign is changing the narrative and celebrating Indigenous Australians for their resilience, creativity and for designing and leading community programs that support and empower kids in the community. Find opportunities to create events in your community to discuss this important campaign – think of events that encourage reflection and discussion. Have a think about what happens in your community and support Indigenous groups during NAIDOC week. This is not necessarily a campaign that we can talk about in one sentence at a stall. It will take time for people to connect. Changing the narrative is the first part and then it’s about changing the reality. Download the tools to take this campaign to your community, including a handling objections guide, on our resources for action page. We also have a role in educating local decision-makers. This is not just an Indigenous issue. It’s a human rights issue. In 2017 we are targeting the federal government – make sure your MP knows that you care. To learn more take our effective advocacy training. We are here to help you with your strategy and tactics. Contact our CIE activist advisory group or your Community Organiser at anytime. CIE Toolkit June 2017 – This is a watershed year for Indigenous rights in Australia, and we have an exciting strategy to compel the federal government to enact a national plan of action on youth justice. This latest toolkit details how you can be involved. CIE Toolkit 4: August 2016 – covered what we’ve done so far in 2016, which facets of the campaign are currently up and running, and Amnesty’s plans for the Queensland report launch. CIE Toolkit 3: March 2016 – laid the strategy for community campaigning in the first half of 2016. CIE Toolkit 2: July 2015 – gave activists suggested campaign activities for July to mid-October 2015. It includes MP lobbying strategy, as well as a plan for a national week of action. CIE Toolkit 1: May 2015 – We recommend you read this first as it’ll give you an overview of the issues and activities that laid the groundwork for the campaign. The following documents were updated in December 2016, and were accurate at the time of publishing. However, as this is an ever-changing landscape, please check in with your Community Organiser if you are not sure of any details. Closing the Gap report – our politicians have started to consider whether the disparity in incarceration rates between Indigenous and non Indigenous Australians should be included. Share this video on justice reinvestment with your group and community partners. Screen this Action Group Presentation at your group meetings for new members. It is a good background primer on the campaign. This does have some internal information so please do not share this outside of your group. Want to learn about our partners? Have a look at Change the Record. Reconciliation resources, including Amnesty’s Reconciliation Action Plan (RAP). We also run training in this area so get in touch with your Community Organiser to book in a session today!